The law office of JUDr. 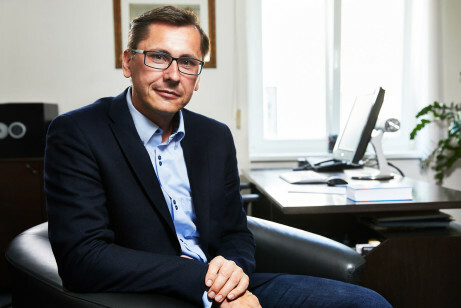 Dominik Brůha, Ph.D. was incorporated in 2006 and since then it focuses its activities mainly in the area of labour and employment law; the legal support is provided for Czech clientele as well as for clients from abroad, when an international overlap is required. According to evaluation of prestigious international rating institutions (Chambers and Partners, Expert Guides etc.) the law office is regularly ranked among the leading Czech specialists in the field of labour law. We focus on employment law and related areas to the fullest extent possible, including continuous monitoring of the development of jurisprudence, explanatory trends, participation in comments to the forthcoming legislation, participation in conferences, etc. Thanks to long-term cooperation with foreign partners, the law office is used to working in international quality standards. It is not an interest of the law office to start litigation at any cost, if there does not exist a realistic chance of success. Prior to commencement of the dispute, the client is informed of the available case law as well as the lawyer's recommendation and experience with the prospect of success in the dispute (price / performance / risk ratio), including the calculation of the cost of the dispute. This cases often result in precedents that later significantly influence the interpretation of the Czech labour law and are mentioned in the Labour Code commentaries as well as in professional journals. The law office is on behalf of the Czech Republic an exclusive partner of the L&E GLOBAL, Brussels - an international alliance, which associates leading employment lawyers and law firms in each of approximately 80 jurisdictions all around the world. The legal support is provided in Czech and English language. We are dealing with legal problems with the international overlap, including mediation of a law firm specializing in employment law in one of 80 countries. JUDr. Dominik Brůha, Ph. D.
JUDr. Dominik Brůha, Ph.D., born in 1976, graduated at the Faculty of Law in Pilsen in 2000. Two years later, he passed the State Exam and obtained the JUDr. degree, and in 2009 he passed the State Doctoral Examination and received his Ph.D. In addition to advocacy, he is currently enrolled on the list of mediators and arbitrators being kept by the Ministry of Labour and Social Affairs of the Czech Republic ; he is also a member of the committee of appeal of the Ministry of Health of the Czech Republic. JUDr. Zuzana Dufalova, born in 1981, graduated at the Faculty of Law, Charles University in Prague in 2004. Two years later, she passed the State Exam and obtained the doctor´s degree. Zuzana Dufalova has long been specializing in employment law, she also has extensive lawyer’s experience from her previous positions at central governmental authorities. Zuzana Dufalova joined the Dominik Bruha law office in 2018 as an employed attorney-at-law, she also performed her practice as an associate of the Czech Bar Association at our law office in 2011 – 2013. Dominik Brůha is an active member of many legal organizations and associations; he is a member of the Board of the Prague unit of the Unity of Czech Lawyers, the oldest association of all lawyers in the Czech countries founded in 1864. In 2014, Dominik Brůha was awarded, from the hands of the President of the Constitutional Court JUDr. Pavel Rychetský, the Randa's medal as an acknowledgment for all of the activities and lecturing for the Unity of Czech Lawyers. Dominik is also a member of the Board of the Czech Society for Labour Law and Social Security Law, he is an active member of the Panel of Experts of AKV, a member of the European Employment Lawyers Association (EELA) and a member of the Czech Employment Lawyers Association. In the area of ​​legally popularizing, Dominik Brůha regularly cooperates with the Czech TV and the Czech Radio.